Leslie Aizenman, director of refugee and immigrant services for Jewish Family & Community Services, helps oversee projects for arrivals of all ages. The facility welcomed more than 20 refugee children to a gingerbread decorating party in December. Despite two years of decline, there has been a slight increase in the number of immigrants and refugees arriving in Pittsburgh this year, according to the JFCS. The Trump administration says it will reduce the number of refugees coming into the U.S. by one-third starting in October. Aizenman explores what the Pittsburgh community is doing to help settle new residents, and how refugee assistance agencies are preparing for the Trump administration's change. Over the years, South Side has evolved from a hub for mills to a hub for nightlife. The South Side Community Council, a group of volunteers who focus on community beautification and other projects, are working to create a sense of community that they feel has been lost in recent years. 90.5 WESA’s Brian Cook spoke to members of the Council about their work to preserve the neighborhood’s past while providing for its future. The trial of a white police officer charged with fatally shooting unarmed black teen Antwon Rose last summer will begin at the Allegheny County Courthouse on Tuesday. 90.5 WESA’s An-Li Herring reports that demonstrators and activists say that Rose’s death fits a pattern of police brutality, while legal analysts say that the law gives the police the benefit of the doubt. 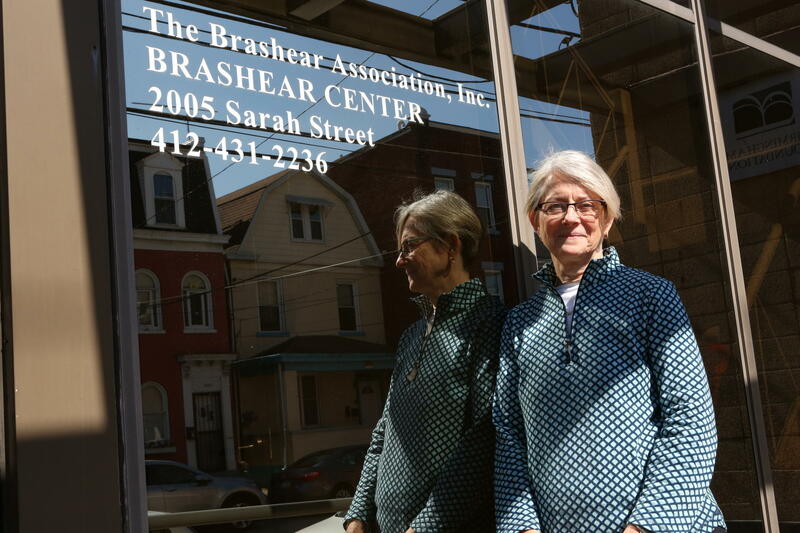 Barbara Rudiak, president of the South Side Community Council, stands in front of the Brashear Association building. Rudiak and SSCC's executive board meet and conduct business there and throughout the neighborhood. Rural students do not attend or complete college at the same rate as their urban and suburban counterparts. A new school in northern Pennsylvania is trying to reduce two of the major obstacles rural students face: cost and access. Keystone Crossroads’ Min Xian reports that the school’s non-traditional system includes a network of libraries and classrooms across the region which allows for convenience and affordability. And, the H-1B visa is one of the most commonly used visas for foreign nationals in the United States. A surge is expected in applications for these visas from companies for foreign workers with special skills; the window to file closes in two weeks. Joel Pfeffer, a partner and immigration attorney with the Pittsburgh-based law firm Meyer, Unkovic & Scott, discusses how a change in the lottery system for selection could impact the H-1b visa process and Pittsburgh businesses.